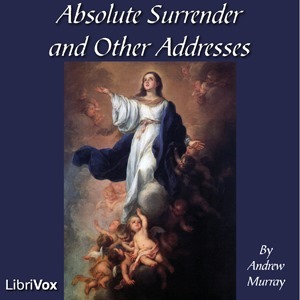 Leading South African evangelical Christian writer of the 19th century, Andrew Murray, wrote a book titled, Absolute Surrender. Therefore, it should not be surprising to find ‘surrender’ as an essential teaching of Islam. In Arabic, the word “Islam” means submission or surrender – however, it was derived from the root word “salam”. From this root word, you can also obtain the words peace and safety. Many people consider that Islam implies some sort of enslavement to Allah, but others find it more helpful to define the word “Islam” as surrender (Pennington 2008, emphasis in original). How does salam = peace fit with the Islamic religious verses of violence towards non-believers? The Online Etymology Dictionary states that Islam is a ‘religious system revealed by Muhammad’ from Arabic islam, literally ‘submission’ (to the will of God). It is from root of aslama, which means ‘he resigned, he surrendered, he submitted’, a causative conjunction of salima ‘he was safe’ and is related to salam ‘peace’ (Harper 2001-2015). However, since salam means peace and Islam means submission to Allah, how does that related to what is said in Quran 48:29? The Ahmed translation reads: ‘Muhammad is the Prophet of God; and those who are with him are severe with infidels but compassionate among themselves’. What does the verse in this letter, Quran 5:32 (Yusuf Ali translation), state? Another responded to the above letter: ‘Thank you for posting, I think it is needed. I took a world religions class and learned that indeed Islam is a religion of peace’. My answer to the notion that Islam is a religion of peace was that that was because the ‘violent’ information – regarding unbelievers/infidels – from the Quran – is ignored or filtered out. 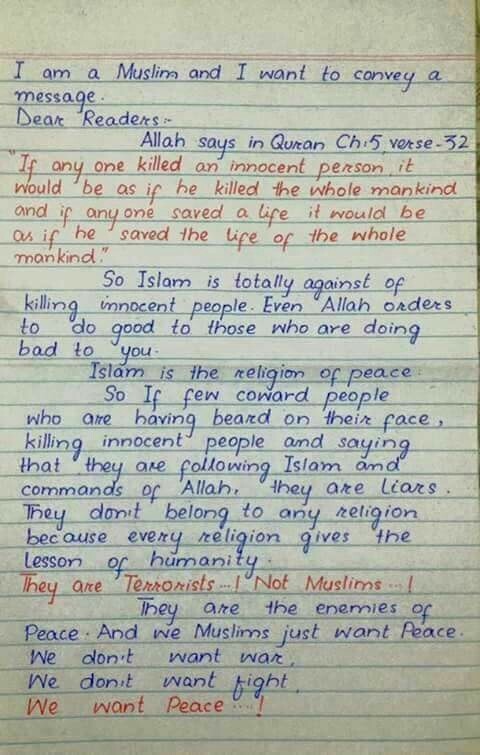 Let’s examine some facts about Islam, particulars which the Australian mass media don’t want to trumpet loud and clear. Quran 4:76 [Yusuf Ali translation], ‘Those who believe fight in the cause of Allah, and those who reject Faith Fight in the cause of Evil: So fight ye against the friends of Satan: feeble indeed is the cunning of Satan’. Quran 5:33 [Yusuf Ali], ‘The punishment of those who wage war against Allah and His Messenger, and strive with might and main for mischief through the land is: execution, or crucifixion, or the cutting off of hands and feet from opposite sides, or exile from the land: that is their disgrace in this world, and a heavy punishment is theirs in the Hereafter’. Quran 8:12 [Yusuf Ali], ‘Remember thy Lord inspired the angels (with the message): “I am with you: give firmness to the Believers: I will instil terror into the hearts of the Unbelievers: smite ye above their necks and smite all their finger-tips off them’. Quran 8:39 [Yusuf Ali], ‘And fight them on until there is no more tumult or oppression, and there prevail justice and faith in Allah altogether and everywhere; but if they cease, verily Allah doth see all that they do’. Quran 47:35 [Yusuf Ali], ‘Be not weary and faint-hearted, crying for peace, when ye should be uppermost: for Allah is with you, and will never put you in loss for your (good) deeds’. Now try convincing me that at its core, Islam is a religion of peace. It is not. Anyone who promotes the view of the peaceful nature of Islam must ignore these verses from the Quran. What happened on September 11 2001 in the USA and on 13 November 2015 in Paris is at the core of Muhammad’s requirements for Muslims who are true to their faith. You can even find texts which specifically command terrorism, the classic one being Quran 8:59-60, which urges Muslims to prepare themselves to fight non-Muslims, ‘Against them make ready your strength to the utmost of your power, including steeds of war, to strike terror into (the hearts of) the enemies’ (A. Yusuf Ali’s translation) (Sookhdeo 2005). I suggest there could be a parallel between ‘moderate’ Muslims and cultural Christians. 1. Who are the ‘moderate’ Muslims? Relying heavily on the Quran, the 18-page letter released Wednesday (Sept. 24 2014) picks apart the extremist ideology of the militants who have left a wake of brutal death and destruction in their bid to establish a transnational Islamic state in Iraq and Syria. A translated 24-point summary of the letter includes the following: “It is forbidden in Islam to torture”; “It is forbidden in Islam to attribute evil acts to God”; and “It is forbidden in Islam to declare people non-Muslims until he (or she) openly declares disbelief”. It seems like a contradiction in methodology to blast the ideology of IS (by Muslim scholars) but they do it in language that is in Arabic, using heavy classical religious terms that are designed to reach the young who are being recruited by IS. Since it uses language that mainstream Muslims would find difficult to understand, it defeats the purpose of communicating to the mainstream – the alleged ‘moderates’ – with this obscure and unintelligible document. They’re the political flags of the Muslim Brotherhood, ISIS, the Taliban, al-Qaida and Saudi Arabia. Now I learn I have not only to fight the medieval, theocratic adherents of my faith for a safe space for myself, I have to battle the Federal Court of Canada as well, which has come out on the side of these facemasks. The article was repeated in The Huffington Post, 24 September 2015, ‘As a Muslim, I think Canada should ban the niqab and birka in public’. 2. Are there moderate Muslims? It would seem that there are moderates because not all Muslims are involved in terrorism like that in Paris, 13 November 2015, New York City on 11 September 2001, Daesh (IS) attacks in Syria and other countries of the Middle East. ‘In September , the French government began calling the group Daesh which is the Arabic name for the Islamic State of Iraq and the Levant (ISIL), also known as ISIS or the Islamic Sate group’ (SBS News, 4 December 2014). However, Sookhdeo (2005), an Islamic specialist, stated that it is a myth to speak of moderate Islam. How many Muslims are in my home country of Australia? In research released by the International Centre for Muslim and non-Muslim Understanding, University of South Australia (Hassan 2015:22), its conclusions in 2015 were that more Muslims migrated to Australia following the change of national policy from the Restriction Act of 1901 [commonly known as the White Australia policy] to a more open approach in the late 1960s. In 1966 there were 200,885 Muslims in Australia, but that increased to 476,290 by the 2011 Census, which is a 137% increase (natural increase and by immigration) since 1966. The statistics reveal that 40% of Australian Muslims were Australian born, while the remainder came from 183 countries. By 2011, Islam was Australia’s third largest religion, representing 2.2% of the population. They are mostly city dwellers, with large urban clusters, particularly in Sydney and Melbourne. A majority of Muslims are Australian citizens, proficient in English and are productive members of society, with large numbers of school-age children. Most of these Muslims are young and have a similar educational profile to similar age Australians. However, they lag behind with employment and income, thus having higher unemployment rates. Hassan (2015:22) recommended urgent action be taken to implement remedial policies to promote social and economic inclusion. By 2050, it is expected that there will be 1.5 million Australian Muslims, representing 5% of the population, and these will provide a vital bridge to what should then be the largest world religion – Islam (Hassan 2015:22). I ask: What will be happening in Australia by 2050 with an estimated Islamic population of 5% of the nation? Can we be confident that the majority of Muslims here will be moderates who would not become activists, even terrorists, in the future? I am not convinced this will be the situation since there are verses in the Quran that definitely promote violence towards infidels. All non-Muslims are infidels, including non-Muslim Australians. That will not be in my lifetime but it will be in that of my children and grandchildren. I have a concern for peace and wellbeing here and I cannot see it happening if the events of September 11 2001, 13 November 2015 in Paris, and ‘Mali terrorist attack: Scores dead after Islamist gunmen storm Radisson Blu Hotel in Bamako’ 13 November 2015 are multiplied across the world, including Australia. His pro-Islamist sympathies earned him a conviction in 1998 for inciting religious hatred. He was sentenced to 10 months in jail, but was freed after four (BBC News 2002). Michael Mukasey, in reviews of two books on the war on terror, in The Wall Street Journal in 2011, concluded, ‘There are many moderate Muslims, but there is simply no body of doctrine within Islam that provides a principled basis for condemning the 9/11 attacks’ (Mukasey 2011). most people known as moderate Muslims are those simply waiting until the overall Muslim population is at least around eight percent of the overall population of the country, or city they migrate to. After that they start getting involved politically via the Muslim Brotherhood and other Islamic organizations and use the judicial system of their chosen nation or city to further the political clout of Muslims at the expense of the native citizens where they immigrated to. Soon after, violent acts begin to occur. Numerous cities in Great Britain, France and even Televiv (sic) Israel are peppered with Muslim stabbings of non-Muslims and boisterous calls for the collapse of the nation, or city they have invaded (Edwards 2015). There are some dangers that Australians should appreciate and that’s why I felt if we keep the Muslim population at a certain percentage, which at the moment was 1.5, it’s probably two per cent. But once it gets to five per cent or 10 per cent, it’s not that the Australians change, the Muslims change and become more militant and more demanding (Sales 2015). That analysis by Edwards is provocative and food for thought. Those who are truly Muslim will act on the Quran’s requirements when the need arises and they are committed to the Islamic cause of Jihad, Sharia Law, Fatwa and globalization of Jihad. We know the nature of Islamic governments when we examine countries with a majority of Muslims, such as Saudi Arabia (‘Saudi court sentences poet to death for renouncing Islam’), Iran (‘Sunni Muslims living in fear in Iran as state-sponsored persecution ramps up’) and Indonesia (‘More rigid Islam in Indonesia’). What is the future when supposed tolerant and ‘moderate’ Muslims do not come out in wholesale denunciation of Islamic suicide bombers and Islamic violence? Could this be a wait and grow strategy until the Muslim population is large enough to have clout in a culture? Ron Edwards considers that that will happen when the percentage of Muslims in a culture grows large enough. He suggests that figure is about 8%. Is it possible – within the bounds of Western democratic values – to implement a comprehensive strategy to combat Islamic terrorism at its ideological roots? First, such a strategy must be based on an acceptance of the fact that for the first time since the Crusades, Western civilization finds itself involved in a religious war; the conflict has been defined by the attacking side as such with the eschatological goal of the destruction of Western civilization. The goal of the West cannot be defense alone or military offense or democratization of the Middle East as a panacea. It must include a religious-ideological dimension: active pressure for religious reform in the Muslim world and pressure on the orthodox Islamic establishment in the West and the Middle East not only to disengage itself clearly from any justification of violence, but also to pit itself against the radical camp in a clear demarcation of boundaries. Such disengagement cannot be accomplished by Western-style declarations of condemnation. It must include clear and binding legal rulings by religious authorities which contradict the axioms of the radical worldview and virtually “excommunicate” the radicals. In essence, the radical narrative, which promises paradise to those who perpetrate acts of terrorism, must be met by an equally legitimate religious force which guarantees hell-fire for the same acts (Bar 2004:36-37). So Bar is calling on Western democratic governments to become involved at the religious level in dealing with this threat of terrorism. I can’t see secular governments like my own in Australia wanting to go down that path. However, it’s a fascinating challenge by a scholar to offer this way forward for governments. For a more socialised view of Islam in Indonesia (perhaps ‘moderate’ Islam), see, Expressing Islam: Religious Life and Practice in Indonesia (Fealy & White 2008). After the death of Muhammad, under four ‘rightly guided caliphs’, the conquest of territories outside of Arabia began. They ‘started as sporadic tribal raids’, with a proper army organised about AD 634. The ‘newly organized Muslim navy destroyed the Christian fleet at the Battle of the Masts (655). Constantinople was sporadically besieged during this period, though never captured. On the oriental front, the Sasanian army suffered a crushing defeat at the battle of al Qadisiyah (637), and Ctesiphon was taken soon afterwards; this caused the disintegration of the Sasanian empire’. In the expansion, naval expeditions were launched against certain countries and the dynasty of the Muslims ‘emerged as a major seapower’. The conquests came with surprising speed as resistance from other countries was often fragile. World History’s, ‘History of the Arabs’, further explains the expansion of the early Islamic religion by army conquest and war in the Middle East and northern Africa. This explanation of Islamic history stated, ‘The great Christian cities of Syria and Palestine fall to the Arabs in rapid succession from 635. Damascus, in that year, is the first to be captured. Antioch follows in 636. And 638 brings the greatest prize of all, in Muslim terms, when Jerusalem is taken after a year’s siege’. Since combat, siege and subjugation have been the Muslim strategy since the beginning of its existence, a change in tactic is not expected in its expansion in Western civilisation when the Muslim population reaches a certain percentage. I’m of the view that ‘moderate Muslims’ is a politically correct phrase invented so as not to offend our oil producing ‘friends’ as the West needs their oil. If there is a new caliphate, we can expect the ‘moderate Muslims’ to support it (so they don’t get beheaded). C. Who are the cultural Christians? Neither ‘moderate’ Muslims nor cultural Christians take their sacred books seriously. The ‘radicals’ are the ones who are acting on what the Quran tells them to do to unbelieving infidels, i.e. all non-Muslims. The radicals among Christians are the evangelicals who take the Gospel seriously and proclaim the gospel of grace through faith in Jesus Christ alone as the only way to salvation (See John 3:16; 14:6; Acts 4:11-12). See the comparison here of ‘biblical versus cultural Christianity’. The biblical Christian is the person who has faith in the redemptive blood of Christ for salvation. Cultural Christians are those whose desires fit with the cultural motivations and values of this world. It’s a works-based distortion of biblical Christianity, but many of these nominal Christians attend modernist or postmodernist churches that don’t preach the Gospel or believe the authenticity and reliability of Scripture (Kjos Ministries). only four dioceses reported growth…. In the Anglican Church, the presence of the evangelical diocese of Sydney makes things clear. Unlike other dioceses, it is the only one with better than expected attendance, according to the report’s criteria based on Census data. In Sydney, 68,000 Anglicans are in church each Sunday. In Melbourne 21,000 Anglicans are in church on Sunday. It was pointed out at General Synod, Eternity understands, that the growing churches were evangelical (Sandeman 2014). A 40 per cent decline in the numbers at church since 1991, and a weekly Sunday attendance of less than 100,000 are key findings for the Uniting Church census released earlier this year [of 2014]….The median worship service attendance per congregation is 35 people. This means that half the congregations have fewer than 35 attending and half have larger numbers. Of the 35 people at the median, 3 would be children. The number of Uniting Church congregations (local churches) has declined by 31 per cent since 1990. Only 20 per cent of congregations run youth groups, but encouragingly 40 per cent run Sunday schools…. 90 per cent of Uniting Church people under 50 years of age are evangelicals according to Rod James, Adelaide leader of the Assembly of Confessing Congregations (ACC) in the Uniting Church (Sandeman 2014). So the denominations that emphasise liberal Christianity, promoting the cultural ‘gospel’ of peace and good works – but without the Christian Gospel – can be designated as church groups promoting cultural Christianity. Changed lives through proclamation of the Gospel are not on their agendas. Between 1978 and 1999, the number of baptized persons in the diocese [Newark, NJ] fell from 64,323 to 36,340, a loss of 27,983 members in 21 years. That’s a disastrous 43.5% decline. The Episcopal Church, by contrast, saw a decline in the number of baptized persons from 3,057,162 in 1978 to 2,339,133 in 1997, a loss of 718, 499, or a substantial 23.4%, according to the 1998 Church Annual. The Diocese of Newark under Spong, thus, has declined at a rate [of] 20.1 percentage points higher than the rate for the entire Episcopal Church. This rate of decline is 86% faster than the Episcopal Church, whose losses are considerable in and of themselves (Stowe 2000). That’s an example of cultural Christianity in action – massive decline in numbers. This is the cultural Christianity of Spong which Preston wants to call ‘the positive impact the Bishop has’. See my compiled article on ‘The Content of the Gospel’ for an explanation of the Gospel and discipleship. Those who proclaim Christ alone as the way to salvation will share/preach Gospel content and will be regarded as ‘radicals’ by liberal, cultural Christianity. I don’t expect the situation around the world to get any better. In my view, Islam cannot be reformed because of the nature of the above instructions from the Quran. In an article like this, I want to raise a few issues that demonstrate the differences between Islam and Christianity which contribute to the distinction between the two religions, even though these two monotheistic religions use some similar language. I particularly refer to their views of Christ and God. Are their doctrines on these two persons the same? To better understand how peace is demonstrated in these two religions, it will be helpful to examine their views of God and Jesus. Who is God in Christianity? El (including Elim, Elohim, and Eloah). This word is like the Greek, theos, Latin Deus, and the English God. It is a generic name for God and may have a root meaning of power or might, but its basic meaning has been lost (Thiessen 1949:52). Jehovah (or Yahweh) is ‘the personal name. God, the Father, is regarded as God. ‘For on him God the Father has set his seal’ (Jn 6:27); the biblical language used is ‘God our Father’ (Rm 1:7); and ‘God the Father’ (Gal 1:1, 3). The Father is God. What is his nature and how are his attributes described in Scripture? A W Tozer, in his classic on the attributes of God – Knowledge of the Holy – presents an exposition of these attributes. You can read a summary of them at, ‘Attributes of God’ (from AllAbout God, 2002-2015). These include: wisdom, infinitude, sovereignty, holiness, Trinity, omniscience, faithfulness, love, omnipotence, self-existence, self-sufficiency, justice, immutability (i.e. God never changes), mercy, eternal, goodness, gracious, and omnipresence. holds things together (Col 1:17; Heb 1:3); forgives sin (Mt 9:2, 6); raises the dead (Jn 6:39-40, 54; 11:25; 20:25, 28); he will be the Judge (Jn 5:22) of believers (2 Cor 5:10), of Antichrist and his followers (Rev 19:15), of the nations (Ac 17:31), of Satan (Gen 3:15) and of the living and the dead (Ac 10:42). God, the Son, became flesh. born to a woman as a baby on the first Christmas Day. See Gal 4:4; Matt 1:18-2:12; Lk 1:30—38; 2:1-20. This leads to his being called ‘the son of David, the son of Abraham’ (Matt 1:1) and ‘descended from David according to the flesh’ (Rom 1:3). Luke records his descent from Adam (Lk 3:23-38). If you read the NT, you will note that on a few occasions Jesus was referred to as Joseph’s son (Luke 4:22; John 1:45; 6:42; see Matt 13:55), but in context you will see that these comments were by people who were not Jesus’ friends but were by those who did not fully understand who he was (Thiessen 1949:299). The virgin birth confirmed how in Jesus he could be fully divine and fully human in one person. This is the means God used to make salvation available to all human beings (see John 3:16; Gal 4:4). The virgin birth ensured that Jesus could be truly human but without inherited sin. How so? There is no biblical evidence to support the Roman Catholic view that Mary was without sin. ‘A better solution is to say that the work of the Holy Spirit in Mary must have prevented not only the transmission of sin from Joseph (for Jesus had no human father) but also, in a miraculous way, the transmission of sin from Mary: “The Holy Spirit will come upon you…. Therefore the child to be born will be called holy’ (Grudem 1999:230, emphasis in original). It is critical to understand the Christian view of Jesus as fully God and fully human. Thus he is sometime called the God-man. At Christmas it is critical to comprehend that we do not commemorate the birth of God, the Son. The fact is that we celebrate the birth of the humanity of Jesus. Who is Jesus & why did He die? It is stated in the prophetic statement about Jesus in Isaiah 9:6 (emphasis added), ‘For to us a child is born, to us a son is given; and the government shall be upon his shoulder, and his name shall be called Wonderful Counselor, Mighty God, Everlasting Father, Prince of Peace’. According to Isaiah 48:22, ‘“There is no peace,” says the Lord, “for the wicked”’. What does ‘Prince of Peace’ mean? How will that be demonstrated when the Messiah fulfils Isa 9:6? The Messiah who fulfils Isaiah’s prophecy will rule over the redeemed people as ‘Prince’. What methods will he use? The methods by which he achieved his success were peaceful. The people whom he rules are men of peace. The principles according to which he still carries on his work are all peace. In fact, through him the word peace has taken on a much richer spiritual as well as physical connotation (Leupold I.1971:186). Leupold explains that the prophetic reference linked to the one who is Immanuel (Isa 7:14) as ‘Prince of Peace’ indicates that ‘the very antithesis to what he does would be to attempt to build a successful empire by the methods of brutal war’ (Leupold I.1971:186). In this Isaiah passage, the time frame for when the Prince of Peace would bring in this peace is not stated by the prophet. Then the wilderness will become a fertile field, and the fertile field will become a lush and fertile forest. Justice will rule in the wilderness and righteousness in the fertile field. And this righteousness will bring peace. Quietness and confidence will fill the land forever (Isa 32:15-17, NLT). The righteous person practises justice in what he does and this assists in bringing peace. One of the most read evangelical books on God’s peace is that by Billy Graham, Peace with God (1984, Word Publishing). 14 Therefore, beloved, since you are waiting for these, be diligent to be found by him without spot or blemish, and at peace (emphasis added). That’s when there will be no more sin and sinners to contaminate God’s kingdom. Christians look forward to eternal righteousness and peace. However, 2 Tim 3:14 encourages believers to be ‘at peace’ with one another – NOW. Jesus Himself was careful to confirm what he brings: ‘Peace I leave with you; my peace I give to you. Not as the world gives do I give to you. Let not your hearts be troubled, neither let them be afraid’ (John 14:27, emphasis added). It was after his resurrection that this was recorded of Jesus: ‘On the evening of that day, the first day of the week, the doors being locked where the disciples were for fear of the Jews, Jesus came and stood among them and said to them, “Peace be with you”’ (John 20:19, emphasis added). What does this mean for the Christian? The apostle Paul left no doubt: ‘And let the peace of Christ rule in your hearts, to which indeed you were called in one body. And be thankful’ (Col 3:15, emphasis added). God’s peace has this effect on Christians: ‘Now may the Lord of peace himself give you peace at all times in every way. The Lord be with you all’ (2 Thess 3:16, emphasis added). 49 “I came to cast fire on the earth, and would that it were already kindled! 50 I have a baptism to be baptized with, and how great is my distress until it is accomplished! 51 Do you think that I have come to give peace on earth? No, I tell you, but rather division. 52 For from now on in one house there will be five divided, three against two and two against three. 53 They will be divided, father against son and son against father, mother against daughter and daughter against mother, mother-in-law against her daughter-in-law and daughter-in-law against mother-in-law” (ESV, emphasis added). How is it possible that the Prince of Peace who came to bring peace, could say that he would bring division? Surely this is contradictory or a paradox? This is the Jesus who pronounced, ‘Blessed are the peacemakers, for they will be called children of God’ (Matt 5:9, emphasis added). Can the Bible’s view of peace be trusted in light of Luke 12:49-53 and these verses? Ps 72:7; Lk 1:79; 2:14; 7:50; 8:48; Jn 14:27; 16:33; 20:19-21; Rom 5:1; 14:17; Eph 2:14; Col 1:20; Heb 6:20-7:2. Surely this string of verses confirms that Jesus is the one who brings peace? Acts 14:22 gives another dimension with this language: ‘strengthening the souls of the disciples, encouraging them to continue in the faith, and saying that through many tribulations we must enter the kingdom of God’. The context is that Jews stoned Paul, dragged him out of the city as dead. When the disciples gathered around Paul, he rose up, preached the Gospel in Derbe with Barnabas and told the disciples that discipleship involves ‘many tribulations’ before entering God’s kingdom. How can it be the Gospel of peace that brings division in families, among religious groups and in nations? It is not difficult to reconcile as the Jesus of the Gospel divides people, even people in a household, where there will be those who serve Jesus and those who reject him – even hate him. The parallel passage to Luke 12:49-53 in Matthew’s Gospel is Matt 10:34-36. Verse 34 states, ‘Do not think that I have come to bring peace to the earth. I have not come to bring peace, but a sword’. The Gospel brings a rift between those who love Jesus and those who reject him. Christ does bring peace in the individual’s relationship with God and with other believers, but it is not as the culture understands it. Christ’s peace is not that of compromise or tolerance towards evil. The world calls failure to compromise to the culture’s standards – intolerance or bigotry. On April 4, 2015, Salon published an article declaring such, ‘Right-wing Christianity teaches bigotry: The ugly roots of Indiana’s new anti-gay law’. Rather, Christ’s Gospel triumphs over evil, wrong and Satan because of the victory achieved by Jesus’ death and resurrection. It is expected that this will bring opposition from families, communities and nations. ‘It is no namby-pamby sentimentalism that Christ preaches, no peace at any price. The Cross is Christ’s answer to the devil’s offer of compromise in world dominion. For Christ the kingdom of God is virile righteousness, not mere emotionalism’ (Robertson 1930:84). In John 16:33, we have the recorded words of Jesus: ‘I have said these things to you, that in me you may have peace. In the world you will have tribulation. But take heart; I have overcome the world’ (emphasis added). The Christian experiences the peace of God in the midst of tribulation while living in a difficult or hostile culture – the world of unbelief in Jesus. The promised Immanuel – Messiah – was to be the Prince of Peace. Jesus did bring peace and especially peace in the relationship between redeemed sinners and God. However, this peace with Christ brings divisions in families and nations because of love for Christ versus rejection of Christ. Now let’s check out Islam’s view of God and Jesus. For Islam, God is called Allah. What are his nature and attributes? Holy is He! He is Allah the One, the Most Supreme 39:5 (emphasis in original). Note what the Quran states to deny the Trinity and punish those who believe in it: Quran 5:73 states, ‘They do blaspheme who say: Allah is one of three in a Trinity: for there is no god except One Allah. If they desist not from their word (of blasphemy), verily a grievous penalty will befall the blasphemers among them’. 5. The pilgrimage to Makkah [Mecca] once in a lifetime for those who are able (www.islam-guide.com). Some of the attributes and actions of Allah: Is he the Lord God Almighty revealed in the Bible? Allah is the author of evil. Allah is the author of abrogation. Allah is the author of historical errors. Allah is the author of carnal pleasures (e.g. ‘for those who fear Allah is a blissful abode, enclosed gardens and vineyards, and damsels with swelling breasts (Arabic – Kawa’eb), their peers in age, and a full cup’, Surah 78:31-34’). Allah is the author of foreign words. Arabic scholars point to Allah being the author of grammatical errors. Allah and oaths: Jehovah swears by himself (Heb 6:13); Allah swears by less than himself, including the Quran, the sky and constellations, by the pen, city and creation. 4.And there is none like unto Him. Allah is distant and does not have immanence. Immanence means that God is involved in the creation. He is not uninterested or uninvolved with people and his creation. Job explained the God of the Bible this way, ‘In his hand is the life of every living thing and the breath of all mankind’ (Job 12:10 ESV), while the New Testament revealed, one God and Father of all, who is over all and through all and in all’ (Eph 4:6 ESV). In Christianity, the Lord God is present in all creation, including in the life of the believer. Of course, Jehovah exists outside of space and time (called transcendence) but he acts in time through his immanence. What we must believe is that Allah existed and nothing existed with Him; that He created all creation, including the Throne, without becoming subject to disclosure through them, nor did a direction arise for Him because of them, nor did He acquire a location in them; that He does not become immanent, that He does not cease to be transcendent, that he does not change, and that He does not move from one state to another (Haddad n d, emphasis added). We are well aware that the name Allah is used by Arab speaking Christians for the God of the Bible. In fact, the root from which the name is derived, ilah, stems from the ancient Semitic languages, corresponding to the Mesopotamian IL, as well as the Hebrew-Aramaic EL, as in Ishma-el, Immanu-el, Isra-el. These terms were often used to refer to any deity worshiped as a high god, especially the chief deity amongst a pantheon of lesser gods. 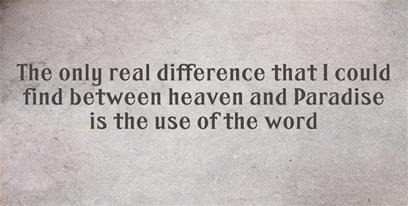 As such, the Holy Bible uses the term as just one of the many titles for Yahweh, the only true God. Therefore, Christians can use Allah as a title or a generic noun for the true God, but not as the personal name for the God of the Holy Bible (Shamoun n d). Who is the Islamic Jesus (Isa)? It is not unusual to hear a statement like this: Both Christianity and Islam confirm who Jesus is; they both believe in Jesus. However, I ask, who is the Jesus of Islam in comparison with the Jesus of the Bible? In Islam, Jesus is known as Isa. Perhaps the most well-known example is in what Jesus said to the thief dying beside him on another cross: ‘And he said to him, “Truly, I say to you, today you will be with me in Paradise”’ (Lk 23:43). What was the apostle Paul’s experience? In 2 Cor 12:3-4 he wrote, ‘And I know that this man was caught up into paradise—whether in the body or out of the body I do not know, God knows—and he heard things that cannot be told, which man may not utter’. ‘Jesus told the church at Ephesus “To the one who conquers I will grant to eat of the tree of life, which is in the paradise of God”’ (Rev 2:7). O People of the Book! Commit no excesses in your religion: Nor say of Allah aught but the truth. Christ Jesus the son of Mary was (no more than) a messenger of Allah, and His Word, which He bestowed on Mary, and a spirit proceeding from Him: so believe in Allah and His messengers. Say not “Trinity”: desist: it will be better for you: for Allah is one Allah: Glory be to Him: (far exalted is He) above having a son. To Him belong all things in the heavens and on earth. And enough is Allah as a Disposer of affairs. Christ the son of Mary was no more than a messenger [or, an apostle]; many were the messengers [or, the apostles] that passed away before him. His mother was a woman of truth. They had both to eat their (daily) food. See how Allah doth make His signs clear to them; yet see in what ways they are deluded away from the truth! So Jesus, being the son of Mary, was no more than a messenger, which is contrary to Matt 11:27, where Jesus states that ‘all things have been handed over to me by my Father’. And behold! Allah will say: “O Jesus the son of Mary! Didst thou say unto men, worship me and my mother as gods in derogation of Allah’?” He will say: “Glory to Thee! never could I say what I had no right (to say). Had I said such a thing, thou wouldst indeed have known it. Thou knowest what is in my heart, Thou I know not what is in Thine. For Thou knowest in full all that is hidden. Jesus and his mother are deities and the Holy Spirit is not stated as divine. To Him [Allah] is due the primal origin of the heavens and the earth: How can He have a son when He hath no consort? He created all things, and He hath full knowledge of all things. Quran 72:3, ‘And Exalted is the Majesty of our Lord: He has taken neither a wife nor a son’. The Islamic deduction is that Allah cannot have a consort, i.e. a husband, wife, spouse, companion, associate or partner (Merriam-Webster Dictionary 2015. s v consort). Thus, Allah cannot have a son who died on the cross to provide salvation for people’s sins. (4) Jesus was not crucified but another man like him was killed in his place (Quran 4:157). Farooq Ibrahim, ‘Is Isa merely a Messenger or God Incarnate? (Answering-Islam). The above evidence should demonstrate clearly that the nature and attributes of Allah are quite different to those of Jehovah, the Almighty God. Allah and Jehovah do not refer to the same God. The Jesus revealed in Scripture is not the Jesus (Isa) of Islam. This especially relates to Jesus’ origin and his crucifixion. The Christian understanding is that Jesus has always existed as John 1:1 confirms, ‘In the beginning was the Word, and the Word was with God, and the Word was God’. Historically, Jesus’ death, burial and resurrection were the turning point in history and in making salvation available for all people. See Luke 23:26-56 and Luke 24:1-49 for confirmation of Jesus’ crucifixion and resurrection in history. Evidence of Jesus’ atoning death for the sins of the world is found in Scriptures such as John 3:16-18 and 1 John 2:2. F. What can we expect before Jesus’ return? And pray that your flight will not be in winter. For there will be greater anguish in those days than at any time since God created the world. And it will never be so great again. In fact, unless the Lord shortens that time of calamity, not a single person will survive. But for the sake of his chosen ones he has shortened those days. Then everyone will see the Son of Man coming on the clouds with great power and glory. And he will send out his angels to gather his chosen ones from all over the world—from the farthest ends of the earth and heaven. Therefore, before Jesus’ Second Coming, we can expect ‘greater anguish’ than at any time since the creation of the world. That sure sounds like catastrophic events. Unless God calls an end to this horrific distress, not a single person would survive in the world. But God will shorten the terror because of his elect believers. If it were not for Christians in the world at that time, God would destroy the whole of humanity. During this time there will be the actions of false messiahs and false prophets performing false miracles. However, Jesus, the Son of Man, will come in the clouds and with great power and glory and he will put an end to the catastrophe. On the human level, I see the future as very bleak for the West and for Christians. What we have seen on September 11, 2001, in Paris on 13 November 2015, and in Mali on 20 November 2015, should tell us that the Jihadist Muslims of IS are deadly serious about attacks on the West. The verses cited above from the Quran indicate that violence is one of the core values of Islam. Genuine Muslims committed to Allah and the Quran are devoted to violence towards nonbelievers. For the grace of God has appeared, bringing salvation for all people, training us to renounce ungodliness and worldly passions, and to live self-controlled, upright, and godly lives in the present age, waiting for our blessed hope, the appearing of the glory of our great God and Savior Jesus Christ, who gave himself for us to redeem us from all lawlessness and to purify for himself a people for his own possession who are zealous for good works (emphasis added). Here are a couple versions of this very appropriate song for the theme of this article, when there will be ultimate peace. Jim Hill, Donnie Sumner & Jimmy Blackwood. Bar, S 2004. The religious sources of Islamic terrorism. Policy Review 125 (online), June & July, 27-37. Research Library, American Civil Liberties Union. Available at: https://action.aclu.org/files/fbimappingfoia/20111019/ACLURM001331.pdf (Accessed 23 November 2015). Coffman, E 2008. Why December 25? Christian History (online), 8 August. Available at: http://www.christianitytoday.com/ch/news/2000/dec08.html (Accessed 26 November 2015). Edwards, R 2015. Do you really believe there are moderate Muslims? Newswithviews.com (online), 20 November. Available at: http://www.newswithviews.com/RonEdwards/ron152.htm (Accessed 23 November 2015). Fealy, G & White, S (eds) 2008. Expressing Islam: Religious life and politics in Indonesia. Pasir, Panjang: Singapore: Institute of Southeast Asian Studies. Haddad, G F n d. The Hadith of Allah’s Descent, pt 2 (online). Available at: http://www.sunnah.org/aqida/haddad/Allah’s%20Descent2.htm (Accessed 28 November 2015). Harper, D 2001-2015. Islam. In Online Etymology Dictionary. Available at: http://www.etymonline.com/index.php?allowed_in_frame=0&search=Islam&searchmode=none (Accessed 28 November 2015). Hassan, R 2015. Australian Muslims: A demographic, social and economic profile of Muslims in Australia 2015. International Centre for Muslim and Non-Muslim Understanding (online), 1-45. Adelaide, South Australia: University of South Australia. Available at: http://www.unisa.edu.au/Global/EASS/MnM/Publications/Australian_Muslims_Report_2015.pdf (Accessed 28 November 2015). Ibrahim, F n d. Is Isa merely a Messenger or God incarnate? Answering-Islam. Available at: http://www.answering-islam.org/Authors/Farooq_Ibrahim/incarnate.htm (Accessed 30 November 2015). Leupold, H C 1971. Exposition of Isaiah (2 vols in 1). Grand Rapids, Michigan: Baker Book House. Markoe, L 2014. Muslim Scholars Release Open Letter To Islamic State Meticulously Blasting Its Ideology. Religion News Service, The Huffington Post Australia (online), 26 September. Available at: http://www.huffingtonpost.com/2014/09/24/muslim-scholars-islamic-state_n_5878038.html?ir=Australia (Accessed 23 November 2015). Martindale, C C 1908. Christmas. In The Catholic Encyclopedia. New York: Robert Appleton Company. Available at New Advent: http://www.newadvent.org/cathen/03724b.htm (Accessed 26 November 2015). Mukasey, M B 2011. America’s most wanted, The Wall Street Journal (online), January 22. Available at: http://www.wsj.com/articles/SB10001424052748703583404576079930494332352 (Accessed 26 November 2011). Oxford Islamic Studies Online 2015. Spread of Islam, The. Oxford University Press. Available at: http://www.oxfordislamicstudies.com/article/opr/t253/e17 (Accessed 8 December 2015). Pennington, R 2008. 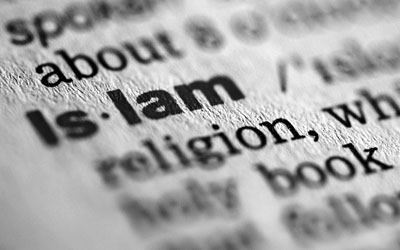 What is the meaning of the word ‘Islam’? Muslim Voices, October 1. Available at: http://muslimvoices.org/word-islam-meaning/ (Accessed 1 December 2015). Roberts, M 2010. Seeking the peace of Christ: Christianity and peacemaking. Patheos (online). Available at: http://www.patheos.com/blogs/markdroberts/series/seeking-the-peace-of-christ-christianity-and-peacemaking/ (Accessed 30 November 2015). Robertson, A T 1930. Word Pictures in the New Testament: The Gospel According to Matthew, The Gospel According to Mark, vol 1. Nashville, Tennessee: Broadman Press. Sales, L 2015. Reporter: H Cooper, ‘This is the man with the balance of power in NSW – Fred Nile’. Australian Broadcasting Corporation (ABC), 7.30 (online), 16 April. Available at: http://www.abc.net.au/7.30/content/2015/s4218034.htm (Accessed 24 November 2015). Sandeman, J 2014. Two Australian denominations face big challenges. Bible Society Live light (online), 11 July. Available at: http://www.biblesociety.org.au/news/two-australian-denominations-face-big-challenges (Accessed 1 December 2015). SBS News 2014. Explainer: What is Daesh? What’s in a name? (online). Available at: http://www.sbs.com.au/news/article/2014/12/04/explainer-what-daesh-whats-name (Accessed 26 November 2015). Shamoun, S n d. Is Allah the God of the Bible? Answering Islam (online). Available at: http://www.answering-islam.org/Shamoun/god.htm (Accessed 28 November 2015). Sookhdeo, P 2005. The myth of moderate Islam. The Spectator (online), 30 July. Available at: http://new.spectator.co.uk/2005/07/the-myth-of-moderate-islam/ (Accessed 28 November 2015). Stowe, R 2000. Newark’s Disastrous Decline Under Spong: Post-Mortem of a Bishop’s Tenure. David Virtue (online), August 16. Available at: http://listserv.virtueonline.org/pipermail/virtueonline_listserv.virtueonline.org/2000-August/001571.html (Accessed 1 December 2015). Most often the documentation from the Quran is given as Surah, which means chapter. However, throughout this article I will use Quran instead of Surah, for the benefit of non-Muslims. Christian Forums.net 2015. Christianity & Other Religions, ‘Islam – a religion of peace’, Classik#1. Available at: http://christianforums.net/Fellowship/index.php?threads/islam-a-religion-of-peace.62184/ (Accessed 1 December 2015). You’ll find a variation of this letter at: https://www.facebook.com/permalink.php?story_fbid=620333818078936&id=283008705144784; https://plus.google.com/103745661768802901128/posts/U7x62k3pHkK; an exact replica of this hand-written letter is on Twitter at: https://twitter.com/afsh_9/status/619263580484059136 and https://twitter.com/ehsankhaniyc/status/626771542160965632 (Accessed 1 December 2015). See Encyclopaedia Britannica 2015. s v Recep Tayyip Erdogan. Available at: http://www.britannica.com/biography/Recep-Tayyip-Erdogan (Accessed 26 November 2015). No pagination was given in the partial online edition from which this quote was obtained. The correct spelling is Tel Aviv. ABC News (Australia), 17 May 2011, reported, ‘Muslim group wants sharia law in Australia’ (online). Available at: http://www.abc.net.au/news/2011-05-17/muslim-group-wants-sharia-law-in-australia/2717096 (Accessed 23 November 2015). There is an article by Bilveer Singh on ‘The challenge of militant Islam and terrorism in Indonesia’ (2010), but I do not have access to it. “Letters,” Journey, November 2007, p. 15. Journey is published by the Uniting Church in Australia, Queensland Synod. This information is gleaned with assistance from Thiessen (1949:138-140). ‘The word for Christmas in late Old English is Cristes Maesse, the Mass of Christ, first found in 1038…. Christmas was not among the earliest festivals of the Church. Irenaeus and Tertullian omit it from their lists of feasts…. The first evidence of the feast is from Egypt. about A.D. 200, Clement of Alexandria (Stromata I.21) says that certain Egyptian theologians “over curiously” assign, not the year alone, but the day of Christ’s birth, placing it on 25 Pachon (20 May) in the twenty-eighth year of Augustus…. Concerning the date of Christ’s birth the Gospels give no help’ (Martindale 1908). However, where did the birthday celebration of December 25 originate? ‘Western Christians first celebrated Christmas on December 25 in 336, after Emperor Constantine had declared Christianity the empire’s favored religion. Eastern churches, however, held on to January 6 as the date for Christ’s birth and his baptism. Most easterners eventually adopted December 25’ (Coffman 2008). Abrogation means, ‘to end or cancel (something) in a formal and official way: to fail to do what is required by (something, such as a responsibility)’ (Merriam-Webster Dictionary 2015. S v abrogation), available at: http://www.merriam-webster.com/dictionary/abrogation (Accessed 28 November 2015). This means that in the Quran, Muhammad’s revelation said to do one thing but in a few verses later or in other verses that teaching was called off; it was reversed. He changed his mind. Much of the material in this section is taken from Ibrahim (n d) who is a former Muslim who became a Christian convert by comparing the Islamic view of God and Jesus to that revealed in the Christian Scriptures. The footnote stated: ‘See Isa 13:10; 34:4; Joel 2:10’. The footnote stated, ‘“Son of Man” is a title Jesus used for himself’. The footnote stated, ‘See Dan 7:13’. The footnote stated, ‘Greek from the four winds’. Available at: http://www.jesus-is-savior.com/sounds/Hymns/what_a_day_that_will_be.htm (Accessed 23 November 2015). Hadith, from the Arabic meaning ‘News’ or ‘Story, also spelled Hadit, was ‘a record of the traditions or sayings of the Prophet Muhammad, revered and received as a major source of religious law and moral guidance, second only to the authority of the Quran’ (Encyclopaedia Britannica 2015. S v Hadith), available at: http://www.britannica.com/topic/Hadith (Accessed 28 November 2015). Islamic scholars differ concerning the meaning of Allah’s descent (see Haddad n d, pt 1). This was formerly published in 1968 in two volumes: (a) Exposition of Isaiah, Volume I (chs 1-39) and (b) Exposition of Isaiah, Volume II (chs 40-66). Copyright © 2015 Spencer D. Gear. This document last updated at Date: 16 November 2018. This entry was posted in Deity, God, Islam, Submission to God, Trinity, Unity of God on 1 December 2015 by spencer. Is it wrong to surrender to God? “Surrender” and “giving” one’s self are forms of Paganism. Jesus is the only qualified offering to be placed upon the Alter which The Father uses. I need not test you. I need only compare your ideas and words to the standard of Scripture, God’s Plumbline. Lol. Is that accurate or not? Does the Bible not speak of surrendering to God? I checked this out with the Greek of James 4:7 and responded to him. The New Testament uses an even stronger term than ‘surrender’ as in James 4:7, ‘Submit yourselves therefore to God. Resist the devil, and he will flee from you (ESV). ‘Submit’ is the aorist, middle-passive imperative of hupotassw. Hupotassw is an old verb that is also a military term that means ‘to range under’ (Robertson 1933:52) or as a middle-passive verb here, ‘subject oneself, be subjected or subordinated, obey’ (Arndt & Gingrich 1957:855). This fellow wanted to quibble over ‘surrender’ not being in the Bible, but I pointed out to him that hupotassw is a much stronger term with its command to subordinate himself or be subordinated to God Himself. Therefore, submitting to God, being subject to him, and obeying him are not forms of paganism, but are a requirement of all true believers in Christ. They constitute an urgent call to repentance, to correct their blameworthy position before God. These imperatives, like curt military commands, demand incisive action. They reflect the seriousness with which James viewed their double-mindedness…. “Be subject to God” as an aorist imperative conveys a sense of urgency, demanding immediate compliance. The compound verb (hupotagete), consisting of the preposition hupo, “under,” and tassw, “to order, place, station,” demands that they accept their proper station under God as their captain. The passive [voice] is to be understood in the sense of the middle [voice], calling for their voluntary subordination to God and His will. God does not want forced obedience. Thus, they must express their recognition of God as supreme in their lives. This subordination, so hard for the proud and self-reliant, is essential to cure their worldliness (Hiebert 1979:260-261). Romans 8:7 sends a parallel message, ‘For the mind that is set on the flesh is hostile to God, for it does not submit to God’s law; indeed, it cannot’ (ESV). What is the English meaning of ‘surrender’? The Macquarie Dictionary (1997:2131) gives one of the meanings of ‘surrender’ as: ‘To yield (something) to the possession or power of another’. That’s parallel with what is intended with the meaning of ‘submit’, which the Macquarie Dictionary gives as meaning, ‘to yield in surrender, compliance, or obedience’ (1997:2110, emphasis added). Therefore, from the Macquarie dictionary’s definitions, surrender means submit. They are synonymous terms. There is no point in a Christian getting his nappy in a knot, trying to prove that the New Testament doesn’t teach that Christians should ‘surrender to God’. The facts are that Christians are commanded to ‘submit to God’, which in the English language, means ‘surrender to God’. It is nit-picking to say that the Bible does not speak of ‘surrender to God’. Why? Because the Bible uses a stronger term: ‘Submit to God’ and ‘submit to God’s law’. Therefore, this fellow was building a false proposition by saying that it is wrong that a Christian should ‘surrender to God’. It is called building a straw man logical fallacy (The Nizkor Project). We can’t have a logical discussion when a person builds a false case. The Nizkor Project’s definition of a straw man logical fallacy is, ‘The Straw Man fallacy is committed when a person simply ignores a person’s actual position and substitutes a distorted, exaggerated or misrepresented version of that position’. The fact is: The Bible does teach that Christians should surrender to God because they are commanded to submit to God. Christian Forums, Christian Apologetics, ‘Why covet the gifts of the Spirit?’, Stegley#63, available at: http://www.christianforums.com/t7774537-7/ (Accessed 10 October 2013, emphasis added). I incorporated the following in OzSpen#75, ibid. The middle-passive voice is the same conjugation of the verb in NT Greek. This entry was posted in Discipleship, Submission to God on 11 October 2013 by spencer.